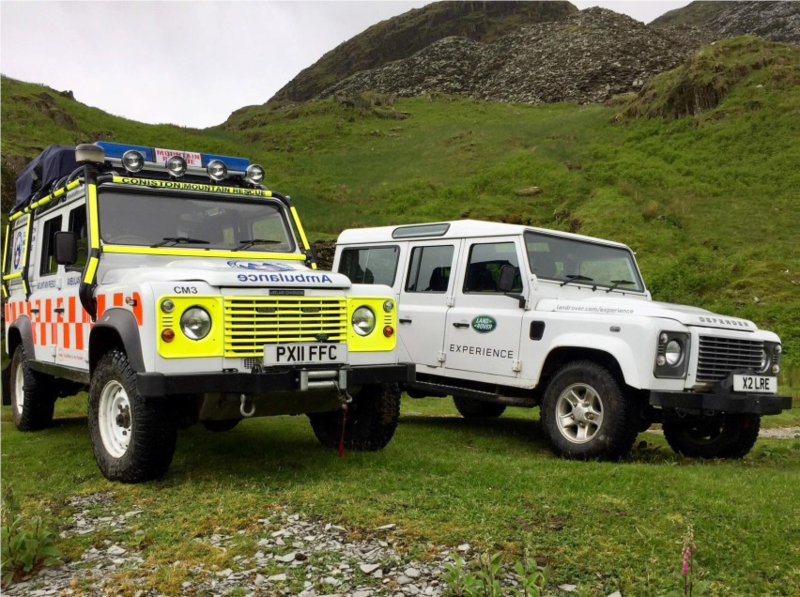 After extensive fundraising, Coniston Mountain Rescue Team took delivery of its three new Land Rover Defender 110’s in 2011. Two of these (M1+M3) have stretcher carrying capabilities and can take up to five team members. 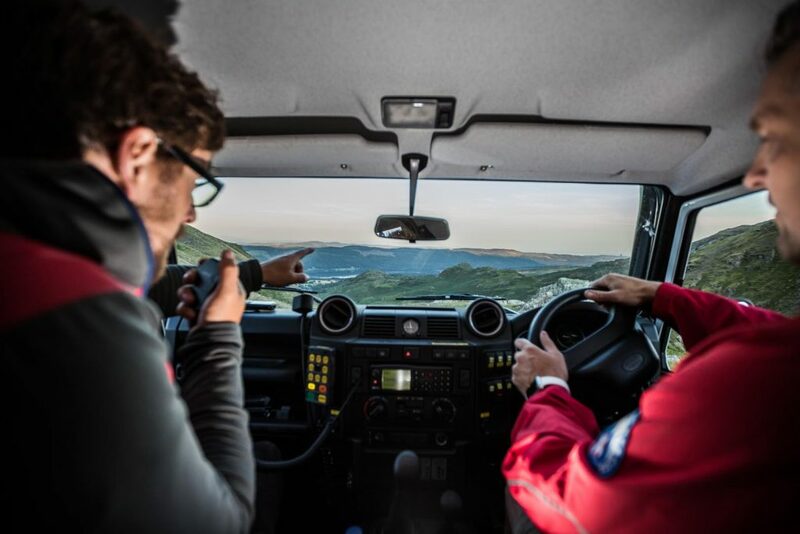 The other Defender (M2) is our ‘people carrier’ which can carry up to seven team members. Due to the nature of Mountain Rescue it is of utmost importance that our vehicles are ready for action any time of day or night. The team has a Vehicles Officer whose job it is to ensure the vehicles are roadworthy, legal and fully operational. This includes doing comprehensive monthly checks and making sure they are serviced and have a current MOT. 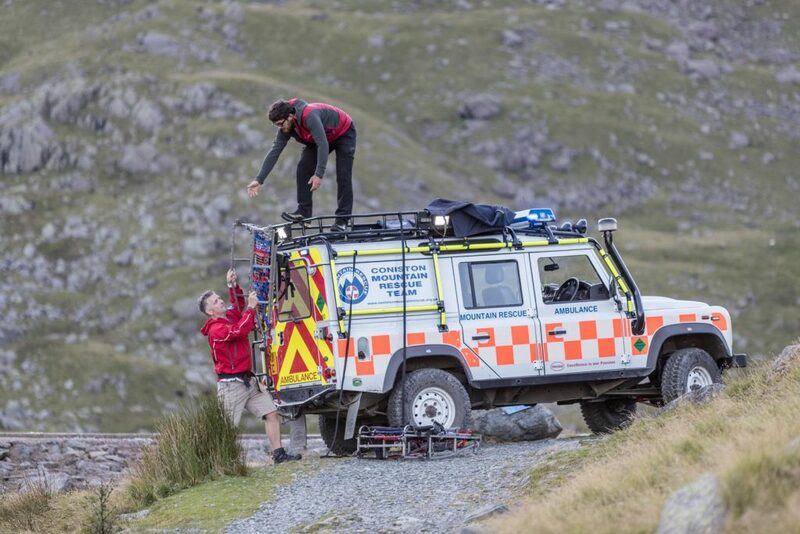 We at Coniston Mountain Rescue Team take pride in the high standard of our drivers. Before being able to drive off-road, team members are sent on an off-road driver training course at the Land Rover Experience in Yorkshire, where they learn the basics of 4×4 driving. 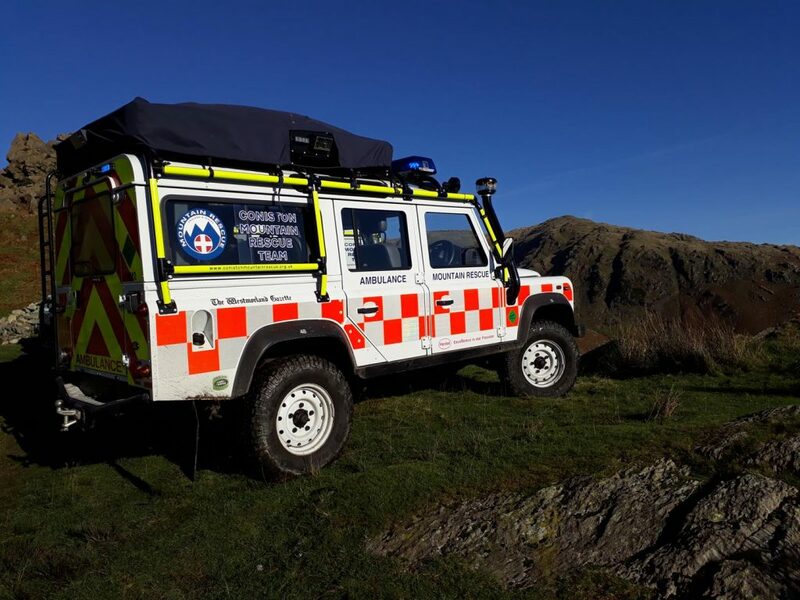 Further CPD (Continuing Personal Development) is carried out in-house (to familiarise members of the local tracks and obstacles they may encounter), further courses are also available through LDSAMRA (Lake District Search and Mountain Rescue Association). As we are an emergency “blue light” service we have some road traffic exemptions, to help us make better progress through traffic when travelling to an emergency. All our designated emergency response drivers are put through intensive driver training by a highly qualified instructor and have to re-sit an assessment, every three years to ensure that high standards are maintained.